. : 2014 Season Results :. 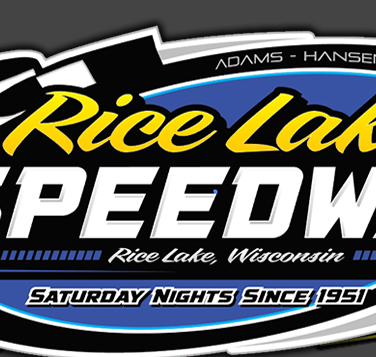 RICE LAKE, WI (June 21) – Dominating performances by Mark Hessler and Ron Hanestad allowed them to claim invitations to the Race of Champions event during the WISSOTA 100 as it was RoC qualifying night Saturday at the Rice Lake Speedway. A tremendous late race charge by Grant Southworth and a hard fought victory by Eric Olson also allowed them passes to the big event while Jason Havel continued to dominate the Pure Stocks with yet another win. 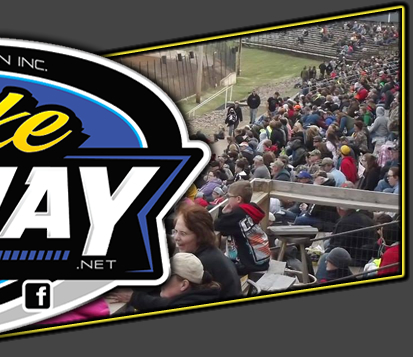 Feature winners Saturday night automatically will qualify for the prestigious Race of Champions event held during the WISSOTA 100 in September in Huron South Dakota and for three of the four winners, it was also their first feature wins at Rice Lake this year. Hessler started on the inside of row two for the Modified finale and after easing past Buddy Mayala, Hessler pulled up beside Paul Brust in a battle for the lead. They raced side by side for several laps before Hessler again eased past on the high side of the track. With Mark working the middle and upper side of the track, he then began to march away from the field as Brust began to field challenges from Cory Mahder for second. Mike Anderson was also on the move after starting ninth on the grid and he drove past Scott Duval for fourth and continued to charge. A yellow at the midpoint of the race bunched the field but once again on the green, Hessler smoothly began to move away from the field. Mahder took over the second spot and tried to stay with Hessler but Mark gradually pulled away from him. Anderson continued to charge as he drove past Brust and began to close on Mahder. The rest of the race went nonstop and Hessler continued to march, as he drove under the checkered without a challenge. Mahder held off a late rush by Anderson to claim second with Brust and Duval completing the top five. Unbelievably, for Hessler it was his first Modified feature win at Rice Lake in thirty years, with Mark last winning a main event at the track during the 1984 racing season and his last win in any class being a Late Model triumph during the 2003 season. Southworth made the most sterling charge of the night as he came from the fifth row to win the Midwest Modified feature and record his first win at the track in two years. The race had its share of difficulties in the early going with four yellow flags in the first five laps for minor spins, one of which included Southworth being turned around on the opening lap. Once everyone settled down, it was Shane Halopka taking the lead with heavy pressure coming from Ryan Viltz and Nick Koehler. Tito Viltz also moved into the lead pack and Southworth also hustled up to become part of the lead bunch. Grant was making all the right moves and he drove into third and then took second as he found success moving up the track. He closed on Halopka and very nearly took over the lead before falling back slightly and having to deal with a pressing Koehler. One last yellow for debris with six laps left bunched the field and on the green Southworth made his move. Again using the second lane, he drove up beside Halopka and this time he stayed there. The leaders raced around the track side by side with Southworth gaining a razor thin margin with two laps to go. He took the white flag and while Halopka pushed as hard as he could, Southworth had his momentum and he drove home the winner by a car length for a stunning victory. Koehler finished a strong third with Tito Viltz and Travis Anderson next in line. Another first time winner for the year and qualifier was Hanestad in the Street Stocks. With the strongest field of the year on hand, Ron picked a great night to put on a dominant performance. In a class where the winning margin is often measured in inches, Hanestad drove away from the field with a dominating performance. He started on the outside of row one and quickly broke away from Simon Wahlstrom and then started to drive away from the field. Behind him, the racing was intense as Wahlstrom fought to hold off Sam Fankhauser, Adam Soltis, Eric Olson, Scott Clark and others as the jockeying for position was breathtaking. As Hanestad motored away from the field, a wild scramble took place as the leaders hit lapped traffic with Wahlstrom getting shuffled back and Clark finding the opening to move into second. In the later stages of the event, Clark began to close somewhat on Hanestad but with no yellow appearing, Ron drove on to his first win of the year at the track. Clark put on an impressive performance as he came from tenth to second with Soltis, Wahlstrom and Olson completing the top five. Olson may have come up short in the Street Stock main, but the Super Stock feature belonged to him. Suddenly having a dominating car, Olson won his second straight win a the track and third of the season as he backed up his big win in the George Rhoe Classic held ten days ago. However, the win was anything but easy as track point leader Willie Johnsen Jr led in the early going and refused to go away as the leaders ran side by side for much of the contest. Johnsen was running the higher groove and led for a number of laps until Olson was able to work under him. They raced together for several laps before Olson was able to edge past for the lead. Meanwhile, there was a side by side battle for second as Bart Steffen and Jason Forehand argued for that spot with Forehand eventually taking the upper hand. Even as Olson took the lead, Johnsen was still right on his tail and working to get past for the lead again. However, in the late going Eric began to put a little distance between himself and the field and with a nonstop race, he drove on for the win. Forehand made a late rush and edged past Johnsen Jr for second with Steffen and Jim Harris completing the top five. It took Havel only half a lap to take the lead in the Pure Stock main event after that it was the field that tried to catch him without success. The Pure Stock feature was plagued by yellow flags with five stoppages in the first four laps, after which everyone settled down and started to race. C.J. Wagner moved to the second spot and spent most of the race chasing Havel without success. Wagner was able to stay relatively close, but could provide no serious challenges to the front runner. Hunter VanGilder moved up from the fourth row to third and raced in that position most of the event. Rob Grabon had his best run of the year, coming from the fifth row to finish fourth with C.J. Hedges Jr. completing the top five. 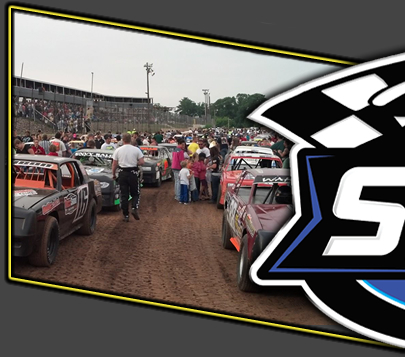 A five class program will again be contested next Saturday night, June 28 before everyone prepares for the next big special, the annual Firecracker event on Thursday, July 3 that will feature a full night of racing plus a great fireworks display. Both events will start with hot laps at 6:30 p.m. and racing to follow.